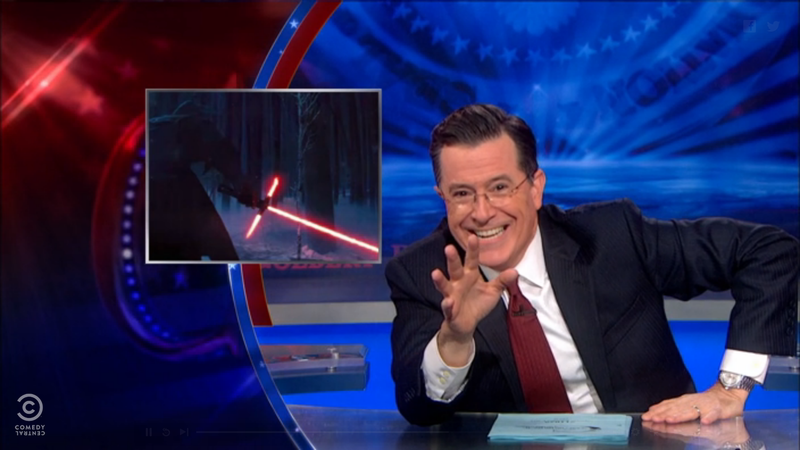 In last night's episode of The Colbert Report, Stephen Colbert does what he does best-unleash his nerdy side, particularly about the new teaser trailer for Star Wars: The Force Awakens, which was released last Friday. In fact, his initial reaction to seeing the Millenium Falcon fly through the Tatooine skies, he begins to spin in his chair like a child and recreate a classic scene from the original Star Wars, and frankly, if you didn't have the same reaction, there is something wrong with you. 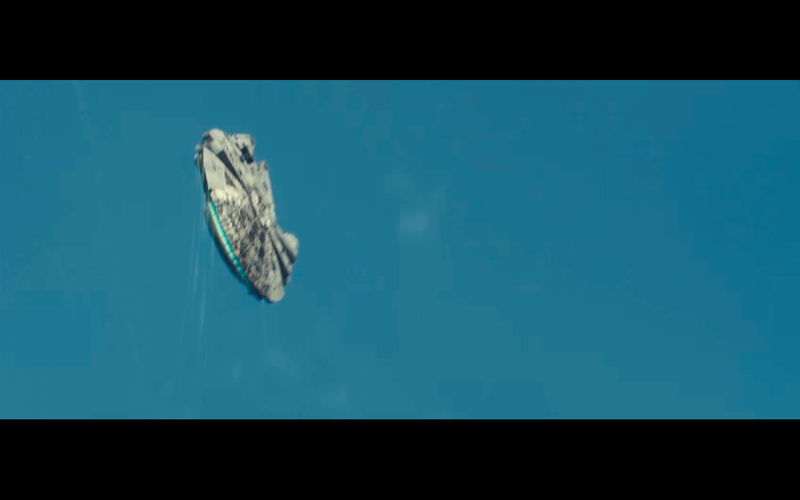 However, many fans took to the internet to (for lack of a better word) "discuss" their "disappointment" in the trailer-particularly about the new weapon wielded by the films antagonist-nicknamed the "tri-saber" by the internet. The "tri-saber" is similar to a normal lightsaber, but has two extra blades sticking out from the sides, presumably to act as a crossguard. However, Colbert would not be be taking that lightly. In typical Colbert Report fashion, he took this topic head on and showed us how such a lightsaber could not only work, but is a genius idea. There are not many people who could insult the entire Star Wars fandom and walk away with applause, but this man does so with such grace that it's impossible to be mad at him.